MacSolutions Plus will leave the Eastern Hills Mall next month for a new location in East Amherst. The store, which has been in the mall for nine years, will close at 8 p.m. May 31 and reopen in the Transit Casey Plaza at 10 a.m. June 1. The new store is located 9364 Transit Road, behind Mighty Taco. As national chains close stores, overall traffic in the mall is down, owner Garret Cleversley said. The new store has higher visible traffic counts and is more convenient, especially for people carrying computers in and out for service, said owner Garret Cleversley. "People can park right out front," he said. 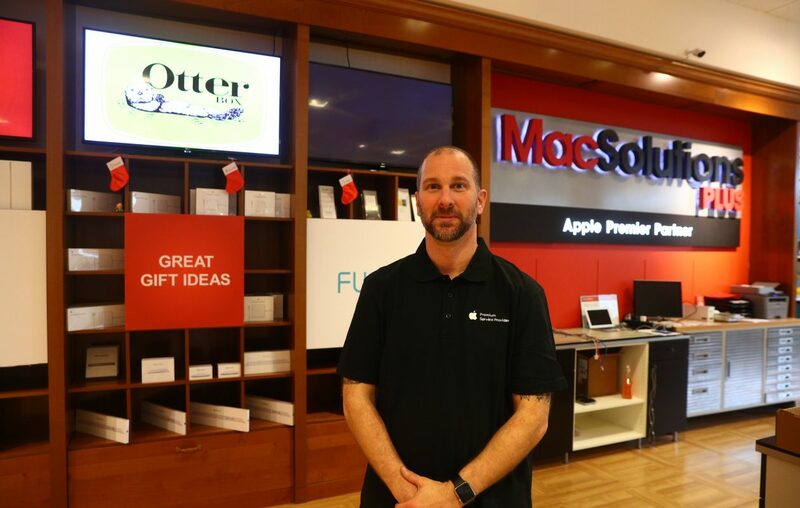 As the nature of MacSolutions Plus' business has changed over the years, especially with Apple-authorized iPhone repair, the company has less need for a large retail space inside a mall, he said. And though Cleversley credits Eastern Hills' low lease rates with allowing the company to grow "tremendously," the impending town center shakeup is another factor contributing to the move. "I’d love to stay in the mall for the transformation, but there’s been no concrete indication of when or how this revitalization will all take place," Cleversley said. "For example, I don’t know if I would be able to stay in the same spot in the mall, or how the transformation will affect our loyal customers." The new store will be closed on Sundays. MacSolutions Plus is an Apple-authorized dealer of Apple products and services. A moving sale is in effect now, with 25 percent off everything in the store except Apple products.